Hairline cracks – These should not make you worry because they show that the problem is a minor one. Stair step cracks – These ones usually show up in the masonry joints. They are an indicator of moisture problems and bulging walls. 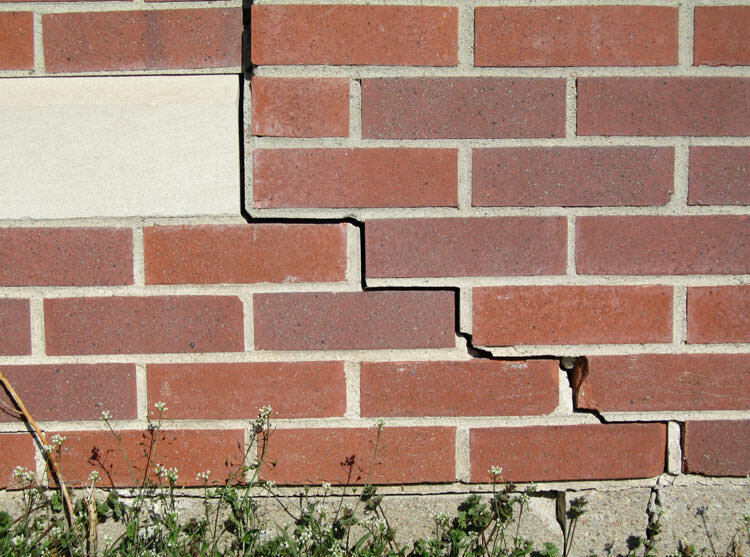 Horizontal cracks – Whenever you see this kind of crack, there is cause for alarm. These ones indicate that your foundation is having major problems. In some cases you may need to put in an entirely new foundation. You may notice cracks showing up on the wall. Many times these cracks associated with foundation issues will appear above doorways and windows where the ceiling and the walls meet. You may notice that your floors, concrete and tiles, also have cracks. Another indicator will be your doors. You may notice that the latch no longer fits and that the door creaks. This is also a good indication that there is shifting in the foundation. Sometimes the windows will begin to stick or may not be able to close all the way when in the past closing them was no problem at all. Look around the perimeter of your foundation by walking around your house and simply looking for any curving, bulging or leaning. Look at the concrete and check for flaking, chipping and a cracked foundation. Look at the structure of the foundation by inspecting the piers, posts and supports in the basement’s crawl space.